Expand to 123 photos (17 cars) found with exterior color of "emberglo orange"
(from page 17 of the 1966 Collection) Emberglo 1966 Mustang hardtop owned by Cav C from Louisiana. 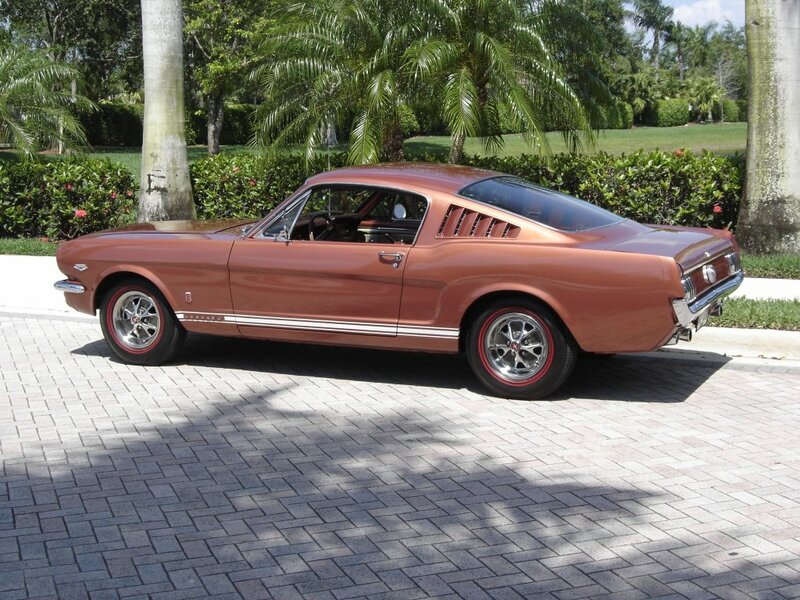 This Mustang was born Emberglo. Under the hood is the original 289 V8 engine. It also has a manual transmission. Cav purchased it in 2010. Modifications include; MB Old School 17x8 wheels, 225/45 front tires 235/45 rear tires, KYB shocks all around, 1-inch Drake Scott front sway bar, Holley 4-barrel 650 cfm Street Avenger carb, and dual Cherry Bomb 18-inch glass packs. Cav also owns a Ingot Silver 2011 Mustang. 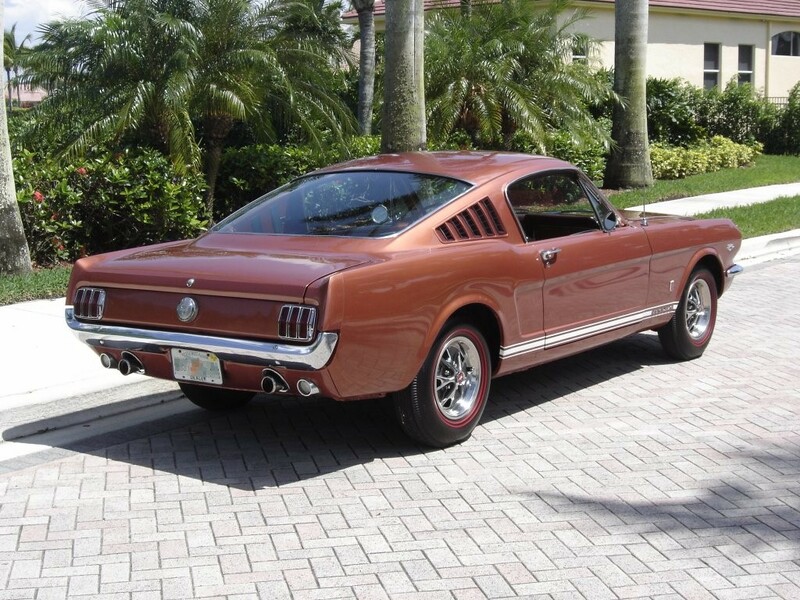 (from page 17 of the 1966 Collection) Emberglo 1966 Mustang hardtop, left rear view. Awesome shot! (from page 20 of the 1966 Collection) Emberglo 1966 Mustang Sprint 200 convertible with a 120hp (at 4400rpm), 200 cubic inch, 1 barrel, inline 6 cylinder engine. 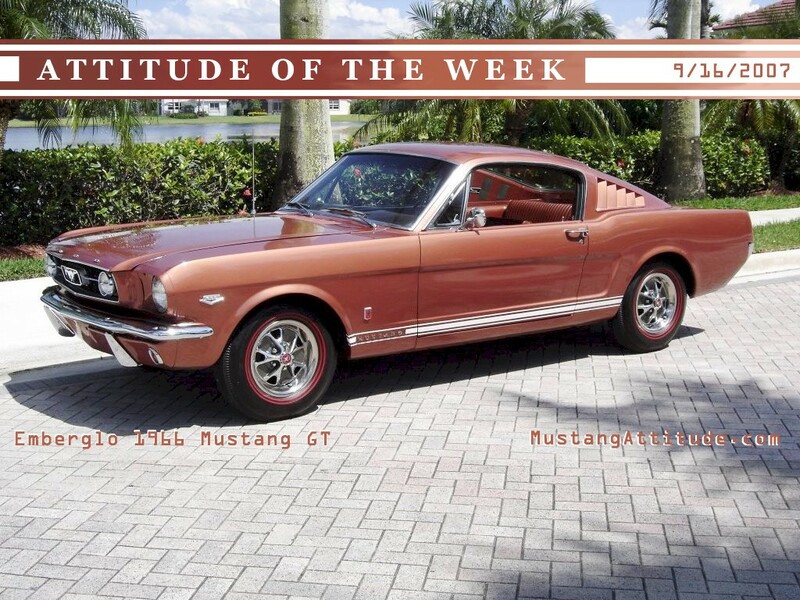 Promoted as the Millionth Mustang Success Sale, the Sprint 200 limited edition package was offered mid 1966 when Ford worried about inventory problems with the first V8 level upgrade 289ci engine. The Sprint 200 was a sport package specifically designed for the base 200ci 6 cylinder engine which were plentiful. 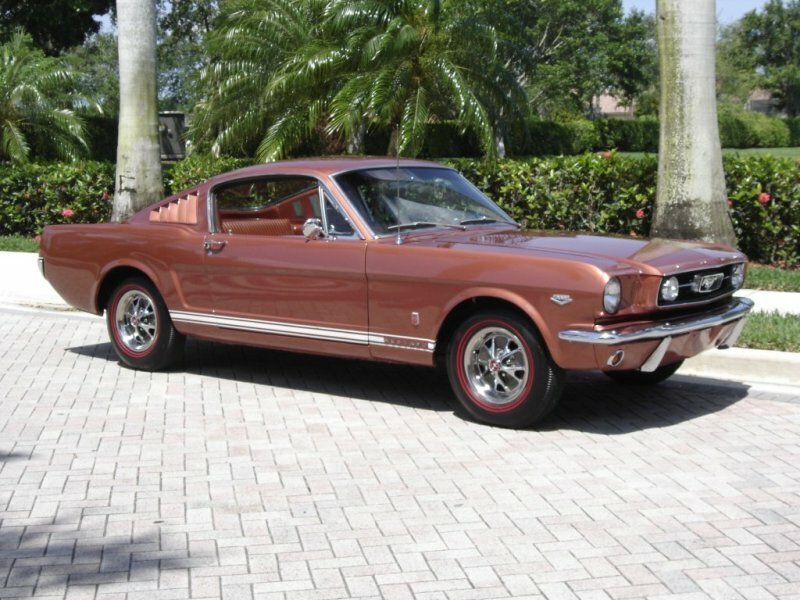 Other Sprint options included center floor console; painted side accent stripes (color matched with the car's interior); deletion of the chrome rear quarter ornaments; and a set of deluxe 48 spoke, blue center wire-style wheel covers. (from page 20 of the 1966 Collection) Emberglo 1966 Mustang Sprint 200 convertible, low right front view. This photo really shows off the Sprint 200's wire wheel covers and metal rocker panel moldings. Also visible is a reproduced original white pin striping which ran around the side cove into a c-stripe. (from page 20 of the 1966 Collection) Rear view of an Emberglo 1966 Mustang Sprint 200 convertible. (from page 20 of the 1966 Collection) 1966 Emberglo Mustang Sprint 200 convertible, left rear view. 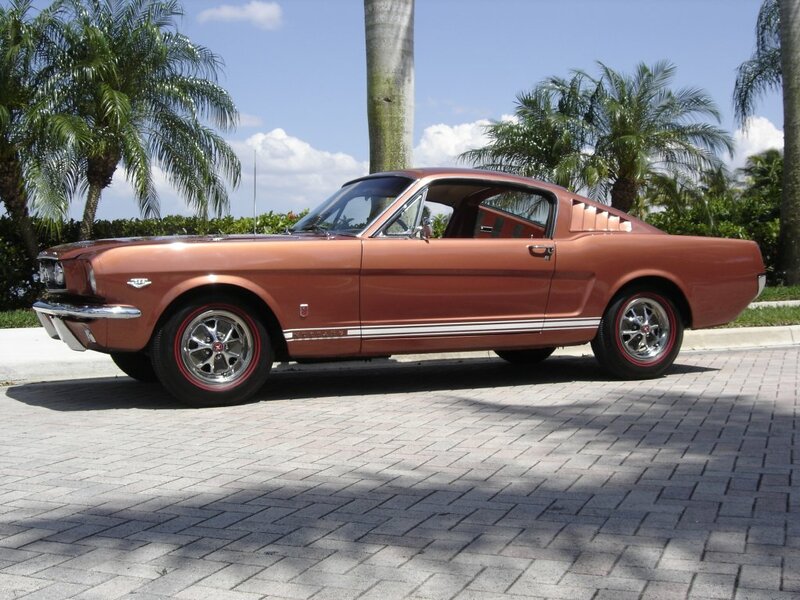 (from page 20 of the 1966 Collection) Left front view of a 1966 Mustang Sprint 200 convertible in Emberglo exterior paint. (from page 20 of the 1966 Collection) Emberglo 1966 Mustang Sprint 200 convertible with the top up, right front view. (from page 20 of the 1966 Collection) A nice low right front view of an Emberglo 1966 Mustang Sprint 200 convertible with its top up. (from page 23 of the 1966 Collection) Emberglo 1966 Mustang hardtop with a black vinyl roof, full wheel covers, metal rocker panel moldings, and a 120hp (at 4400rpm), 200 cubic inch, 1 barrel, inline 6 cylinder engine. 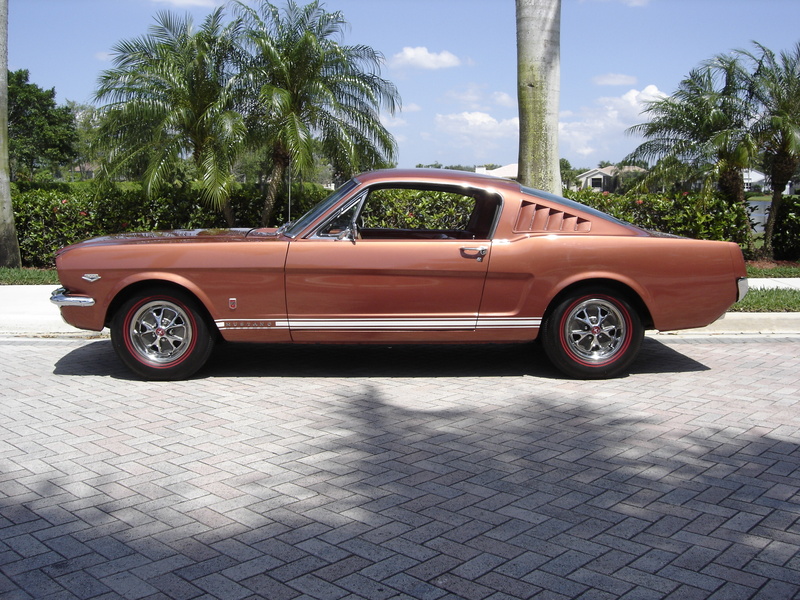 (from page 23 of the 1966 Collection) Emberglo 1966 Mustang hardtop with a black vinyl roof, front end view.